If you’re looking for luxury in the form of a beautiful new Acura, you’ll be glad to know that Acura Bakersfield is your Lancaster Acura dealer. We’re the area’s premier Acura dealership, serving the San Joaquin and Antelope Valley areas. We’re here for you, ready to help get you behind the wheel of a new Acura. When you need an Acura dealer, Lancaster Acura drivers rely on Acura Bakersfield. Our focus is on helping our customers. You’ll see it in the level of customer service we provide. Our friendly, helpful staff are happy to help you and answer all your questions, whether you’d like to buy or lease a new Acura or you’re just beginning your search. 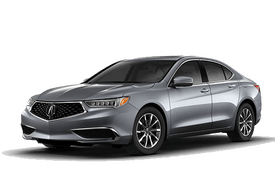 There are many fine Acura models to choose from, so it may be hard to decide which one is the best for your family’s needs. 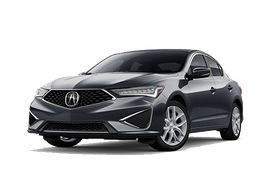 Whether you’d like the Acura ILX, MDX, RDX, RLX, TLX or another model, we’ll discuss the fine points of all the Acura models you’re considering. You can see all the latest models in our showroom in Bakersfield. 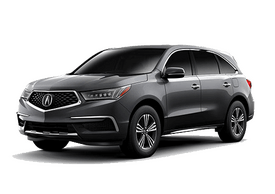 If you’d rather browse our selection of Acura models online, visit our website and check out our entire inventory. Buying a used or certified pre-owned Acura is a great way to get a late-model Acura at an outstanding price. We have a large inventory of pre-owned Acura models. Our expert Acura service technicians inspect each of our pre-owned models to ensure they’re running in peak condition. So, visit Acura Bakersfield and find a pre-owned Acura you’ll love driving for many years to come. 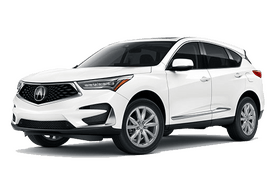 Just like our new vehicles, you can browse our used Acura vehicles on our website. Financing is an important part of the buying process. When you buy or lease an Acura from Acura Bakersfield, we can take care of your financing needs right in our dealership. You won’t have to drive all over Lancaster looking for the best deal on an auto loan. Our finance team has the knowledge and experience necessary to get you the best loan package available. We’ll help you obtain financing with terms and payments that fit your budget. There’s a reason so many of our friends and neighbors in Lancaster get their auto loans from the Acura Bakersfield finance department. You can start the process right now. Just fill out our finance application online. It will save you some time when you visit our finance department in the dealership. When you need service, we have you covered. Our factory-trained service technicians can perform all required maintenance services. If you need a repair, they know every Acura model inside and out. Whether you have a new model or a more seasoned vehicle, trust the professionals at the Acura Bakersfield service center to service and repair your Acura quickly and properly. You’ll have the peace of mind that comes with knowing we use genuine Acura parts to ensure all our work is of the highest quality. Acura Bakersfield is located in Bakersfield, right off the 99. Our showroom is open seven days a week for your convenience. Stop by or call our sales department at 888-854-5031.